Brisbane school holidays are coming! We’ve put together a guide to school holiday activities in Brisbane for the upcoming Easter 2019 school holidays. Here’s how to treat your kids to an amazing break these Qld school holidays without blowing the budget! 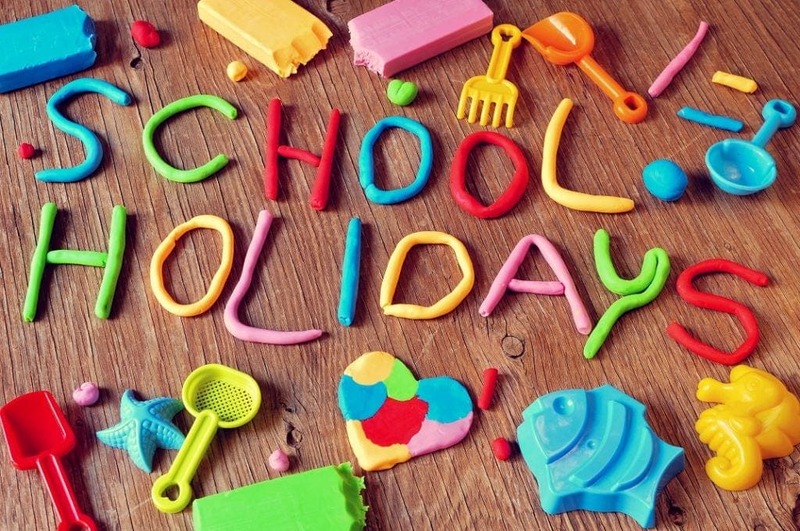 Add this page to your bookmark bar right now (or share it on Facbook so you can find it later) for an at-a-glance, go to resource for parents this school holiday period. ALERT! FREE e-book with photos! 50 day trips to do around Brisbane with kids! – Click here! 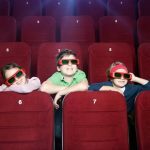 When the kids have had a lovely morning in but you’re starting to get “I’m borrrreeddd” complaints, here’s a few ideas for getting your kids out and about in your part of Brisbane. Half Day Train Trips – free on the weekend! There’s a ton of fun for the whole family at Brisbane’s Best Adventure Park in Hendra. Egg-perience the ultimate adventure in the multi-level Laser Tag arena, Xtreme Ninja & Parkour, a massive trampoline park or a ski / snowboard session on the unique simulators. For the littlies, the adventure play land offers fun climbing, crawling and sliding challenges. Kids can enjoy 2hrs of fun for only $25 or 6 hours of non-stop, supervised action for just $70pp (9am- 3pm) during school holidays. Spots are limited so hurry and book today (we have!!) Click here for details. TELL EVERYONE! 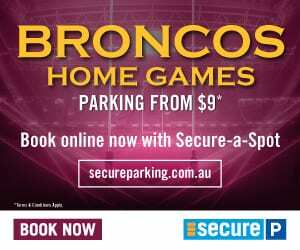 Save 25% off the cost of pre-booked parking at Secure Parking locations across Brisbane when you use our code: FAMILIES (excludes Early Bird) – Click here to book. 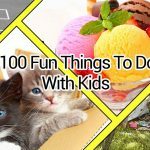 10 FREE fun things to do these school holidays! Looking for cheap school holiday activities? These are FREE!! Get the kids out of the house and doing some cool things over the school break. Here’s ten school holiday activities for fun things to do that are free in Brisbane. We are so lucky to have the Museum on our doorstep. It houses permanent and changing exhibitions. It is a great place to teach the children about Queenland’s history. There are lots of hands on exhibits. Most of the Museum is free, the visiting exhibits usually have an entrance fee. There is a family friendly café on the premises which is great for a quick coffee or lunch. It is pram friendly and a place where you can set your own pace. Opening Hours are 9.30am – 5pm daily. Click here. QAGOMA is also located in the Cultural Precinct of South Bank. It houses over 16 000 works of Modern Art. Entry to the Children’s Art Centre is free. Here you will find interactive installations, artist projects and activities for your Brisbane Family. The projects and activities change throughout the year to keep your little ones interested. There are different dining options to suit you from a café to a restaurant. Or pack a picnic and sit in the lovely grounds that surround the Gallery. They are open daily from 10am – 5pm. Read our GOMA Review to find out more or go straight to the current exhibit here! These Botanic Gardens are a favourite for Brisbane Families. You can either pack a picnic and enjoy it amongst the gardens, or visit the café for coffee or lunch. You can venture along the hide and seek children’s trail, where your children can hunt for native bees, a crocodile, water dragons, dragonflies and other critters. You can easily head up Mt Coot-tha when you are finished in the gardens and let your children see Brisbane from a different perspective. Located on the banks of the Brisbane River, South Bank is 17 acres of lush parklands full of play areas for children, eateries and an amazing lagoon and water park area. And best of all, you can use it all for free! 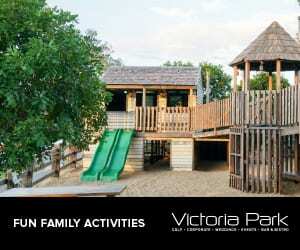 It is easy to spend a whole day here in the warmer months, playing in the water and exploring the play areas. The views are fantastic and the atmosphere happy! There is always something happening at South Bank and their new playground is nothing short of spectacular. Make sure you head to GOMA and see why it’s a brilliant place for kids! If you are heading into the city with your Brisbane Family, make sure you visit the Museum of Brisbane, located in Brisbane City Hall. City Hall itself is beautiful to walk around and you can catch the lift up to level 3 to where the museum is housed. This is not a museum of fossils and bones, it is dedicated to the living history of our city. You can book in for a free tour of the Clock Tower for an insight into how the clock tower was built and how it operates. You travel up into the clock tower in a lift and get a bird’s eye view of the city. Pretty special! The Museum is open 10am – 5pm daily and the tour operates from 10.15am – 4.45pm every 15 minutes. Do your children love koalas? If so this is the place to take them and it is all FREE! This dedicated Koala education facility has large koala enclosures and lots of interactive displays. There are two level boardwalks from which you can view the koalas. It is a great place for a picnic and opportunities for bush walking and spotting other critters and creatures. Open daily 10am – 4pm. The CityHopper will help you fall in love with our city again! It is a free ferry service that runs every 30mins from 6am to midnight, seven days a week. The CityHopper travels along the Brisbane River, stopping at North Quay, South Bank 3, Maritime Museum, Thornton Street, Eagle Street Pier, Holman Street, Dockside and Sydney Street terminals. Interested in whether the City Cat is good for kids or not? Find out here! Located bayside at Redcliffe, Settlement Cove will trick you into thinking you have landed on a tropical island. With clear blue waters, palm trees and lots of sunshine (hopefully!) it is like a little piece of paradise. There is a little water play area for the youngest of your Brisbane Family, BBQs, a shady playground and picnic facilities. You can easily spend a day here. Click here. This spectacular parklands has so much to offer. There are 11kms of boardwalks, walking and cycling tracks, amazing water park areas, playgrounds, picnic facilities, waterfalls and a café. What else do you need for a relaxing day out? Click here for more information. Have you been to visit the new all abilities playground yet? Children of all abilities can play in this park, with wide access for wheelchairs and upgraded toilet facilities with a ceiling hoist. The Gardens are a magical place to spend the day and the children will love exploring them. There are free guided tours available at 11am & 1pm Monday to Saturday, where you can learn more about the plants and the features of the Gardens. 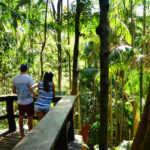 Looking for things to do on the Gold Coast with kids? Click here. Fancy an affordable day out? Here’s five fun school holiday activities that your kids will LOVE for under a tenner per child! 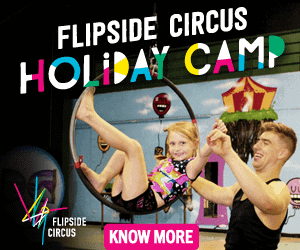 Cheap school holiday ideas for your kids in Brisbane. You can step back in time in Brisbane and ride a tram at the Tramway Museum as many times as your Brisbane Family would like. Set in a bush land setting, you can explore restored trams and other reminders of Brisbane’s tramway era. There are plenty of spots for picnics and souvenirs and drinks available. It is open Sundays from 12.30 – 4pm. Find prices here. You can discover historic vessels of all shapes and sizes at the Maritime Museum. It is located on the banks of the Brisbane River at South Bank. You can take a complimentary audio guided tour to make the most of your visit. The children will enjoy the big exhibits such as the warship Diamantina. It is open daily from 9.30am – 4.30pm. If your little ones are interested in all things astronomical, then this is the place for them. You can view regular shows in the Cosmic Skydome which are projected onto the dome. These shows are recommended for different age groups, so check that detail when deciding which show to go to. There is also the Galaxy Gift Shop where you can buy all things cosmic. The Planetarium is open from Tuesday to Sunday. Read our Planetarium review and check the website for opening times as they do vary. Find prices here. Ipswich Art Gallery is Australia’s first permanent interactive children’s space designed for the under twelves. They are committed to delivering child-centred programs that you will not see anywhere else. They have different exhibitions that are VERY hands on for the children. This is not a place for the children to be directed by adults, it is a space for the children to really explore and self direct. The exhibits for the children range from free to around the $5.00 mark. They are open daily from 10am – 5pm. Watch our Ipswich Art Gallery video review here. If you have a Lego lover in your house, then this is the place for them. They have a Lego Buildroom where the kids can go for a 1 hour or 2 hour session. There is a massive variety of LEGO kits they can choose from and sit and build them. All of the instructions are included and there is something to suit all abilities. There are only 12 children allowed per session so there is plenty of room for the LEGO creations. There is also LEGO displays to look at and become inspired from. Sessions run from 10am each day until 4.00 or 5.00pm. Find prices here. Right, it’s not just about the big ticket theme parks. There’s other great ways to treat your kids to an amazing school holiday excursion. Here’s some school holiday ideas for an amazing family day out over the break – that aren’t just about the theme parks! The Sciencentre is located on Level 1 of the Queensland Museum. They have permanent and changing exhibitions and your Brisbane Family can be very hands on to learn more about science. You can play and investigate your way through SparkLab, using lots of the same skills that scientists, engineers and mathematicians use in their everyday. SparkLab is a timed entry experience. Choosing your preferred time will reduce waiting times and provide an enjoyable experience for all visitors. SparkLab is open daily from 9.40am to 5pm. Entry times commence at 9.40am, then hourly from 11am until last entry at 3pm. See more details on the Sciencentre and all that is happening there. For a relaxed day out with your Brisbane Family, you can’t go past The Workshops Rail Museum. There is so much to do here – you can drive a train on the simulator, check out the miniature railway, explore the history of trains, get hands on with the interactive exhibits, get creative at the Creation Station and let off steam at the indoor playground Nippers Railway. 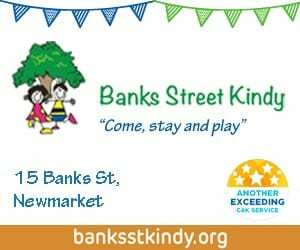 The children can also build wooden toy trains and carriages in the Wood Workshop (these workshops cost $10.00 and are not included in the entry price). You can either pack a picnic or buy food from the café onsite. They are open daily 9.30am – 4pm. Children cost $12.00. Read our Ipswich Rail Museum review here. Your children can spend a day with an experienced wildlife education officer at Lone Pine Koala Sanctuary. They will discover all areas, including behind the scenes, of the Sanctuary. They will get to clean enclosures, feed the animals, train birds of prey and get a photo with a koala as well as much more. Cost is $98.00 per child. Bookings essential. The Abbey Museum will once again host another amazing school holiday activity, with this programs them being all things Medieval! To tie in with their Medieval Festival which is just around the corner, the Museum will have a range of fun and educational activities on offer including a medieval dig, archery, drumming workshops, story tellings, dress ups, and many fun arts and crafts to keep little hand busy. With doors opening at 9:30 and activities beginning at 10am, this is one school holiday program you do not want to miss! Book your tickets online to receive 10% off! Another fun activity to do is to visit the Sir Thomas Planetarium at Mt Cootha. The planetarium will feature a variety of different shows on the day, including ‘Black Holes: Journey into the Unknown’ (3pm) and ‘The Search for Life: are we alone?’. The child friendly show ‘Perfect Little Planet’ is also playing and is recommended for children from the age of 5. You could pack a picnic and make the most of the Botanic Gardens afterwards or there is an onsite café. For a big day out, head up to one of our favourites – Maleny Diaries! They run farm tours multiple times a day. You will get to pat calves, get to see where the cows get milked (at the 2.30 session, you will see them getting milked), see the factory where the milk is processed and bottled and at the end of the tour, you will get to sample some of the dairy goodness. Click here and see our video review. The Corner is the program for children from birth to 8 years, available at the South Bank building. You are invited to head down to The Corner and play your way through our interactive environment, carefully prepared for children to make discoveries, experience new things and engage in the serious business of play. Through art making, facilitated play, sharing stories and creative conversations, children and families can interact with artists and each other to creatively engage wherever their interests take them! Sink into a beanbag, sip the fine wine & savour the company of your favourite humans. Sometimes, it seems the movie is just the cherry on top. Recognised as Queensland’s premier tropical Botanic Gardens, Mt Coot-tha Botanical Gardens are the perfect backdrop for relaxing nights, lazing under the stars enjoying the stars of the Silver Screen with Sunset Cinema. During the Easter holidays they are inspiring your child’s curiosity and creativity with art, science, history, design and technology activities delivered by our arts educators. During the Easter holidays they are inspiring your child’s curiosity and creativity with art, science, history, design and technology activities. Highlights include – Colour Weave Collaboration, Patterns and Prints Badge Making, Future Worlds, Screen Printing and Micro Architects with LEGO workshops. You need to book in for the workshops to avoid missing out! Roald Dahl’s classic book about the 24-foot-high Big Friendly Giant and a little orphan called Sophie comes to life on stage in The BFG. In one of Dahl’s most outlandish stories, the BFG and Sophie must team up to save the children of England from the child-eating giants, ably assisted by the Queen of England and the heads of the army and air force. Brisbane Arts Theatre. Dinosaurs at Brisbane Powerhouse? What could possibly go wrong! Brace yourself and prepare to journey back in time when Dinosaur Time Machine roars into Brisbane Powerhouse from April 9-12. Fusing science, circus, puppetry and fun, Dinosaur Time Machine returns to entertain – and sneakily educate –children during the Easter school holidays following its smash-hit season in 2017. Guided by two scientists, the imaginative and creative performance is peppered with up-to-date discoveries and scientific facts that transport audiences of all ages back to a time when dinosaurs ruled the Earth. Brisbane Powerhouse Artistic Director Kris Stewart said the award-winning production proved a hit with dinosaur lovers young and old when the prehistoric beasts last came to life on the venue’s stage. From the beautiful to the bizarre, this show features a powerful and charismatic cast of internationally renowned acts from around the world — juggling, acrobalance, bell routines, slapstick, comical routines, musical chairs and more! It promises to be exhilarating and mesmerizing for audiences of all ages. SUNPAC. The witch and her cat are flying happily on their broomstick – until a stormy win blows away the witch’s hat, bow and wand. The team behind The Gruffalo and The Gruffalo’s Child return with songs, laughs and scary fun for children aged 3 and up (and their grown-ups). Gardens Theatre. No one outfoxes a fox, especially not the horrible and greedy farmers Boggis, Bunce and Bean – one fat, one short, one lean. Dahl’s much-loved favourite leaps off the page (and all over the stage) in a spectacular new production from the team behind the award winning, sold out national tours of George’s Marvellous Medicine and Revolting Rhymes & Dirty Beasts. QPAC. The Lord Mayor’s Children’s Concerts are a new series of fun and engaging free performances taking place during school holidays! When a boy jumps the fence to retrieve his rogue soccer ball, he unwillingly finds himself on the stage of the world’s most famous theatre with The Bard by his side. What follows is pure midsummer magic framed by a whimsical chase through the streets of Elizabethan London. The Boy, The Bear, The Baron, The Bard is an original adaptation of Gregory Rogers’ much-loved picture book and presented by award-winning theatre company, shake & stir. Free event – bookings required. The Lord Mayor’s Children’s Concerts are a new series of fun and engaging free performances taking place during school holidays! The New Tales of Quinn is an interactive theatre show where you help our storyteller spin new tales for their hero, Quinn. It’s up to you to send Quinn on an adventure they’ve never been on before! What new lands will they explore and what mystical objects will they discover? What strange creatures will Quinn encounter and who will they meet – a giant? A pirate? A witch? You decide! The show is presented by one of Brisbane’s favourite improvised theatre companies, ImproMafia. FREE! Bookings required. The action-packed adventure pits man against prehistoric predators in the ultimate battle for survival. Featuring visually stunning imagery and ground-breaking special effects, this epic film is sheer movie magic 65 million years in the making. Now audiences can experience Jurassic Park as never before: projected in HD with a full symphony orchestra performing John Williams’ iconic score live to picture. Brisbane Convention & Exhibition Centre. Join the White Rabbit, Queen of Hearts and the Mad Hatter as Alice ventures through Wonderland. This all new ballet is perfect for all ages and is a magical portrayal of the classical story. With 40 unique costumes and newly designed tour-able sets, this ballet is sure to be a colourful and playful rendition on this story. Over a year in the making Melbourne City Ballet is set to entertain across Australia and New Zealand and bring a smile to both ballet audiences with its exquisite choreography and non-ballet audiences through its dynamic storytelling. Ipswich Civic Centre. Twelve-year-old Joe has everything a boy could even want, from a golden underwater Ferrari to his very own cinema. David Walliams’ best-selling book comes to life with songs, laughs and, yes, that cat sick and sweet potato mash from the canteen in this original Australian adaptation. Gardens Theatre. Me and My Shadow is about the fanciful escapades of a girl making friends with her shadow. It is a gentle, magical visual poem for children that uses paper, light, shadow, colour, water, music, sound and words to create a world of play where the imagined becomes real. RPAC. English Baroque with Circa will have you gripping your seat and gasping in awe. This breathtaking combination of Circa acrobats and Brandenburg musicians will have you spellbound from the first note to the last. Join the Brandenburg and Circa for this dazzling experience of contemporary circus and enchanting English masque and theatre music where the concert hall is transformed, exploding with sound, colour and movement. QPAC. Meet two clowns: Sweet Clown and the absent-minded Professor. When the clowns meet in the Professor’s laboratory, they discover that thoughts and emotions are connected. Over four scenes focusing on happiness, sadness, anger and fear, the clowns discover how to recognise each emotion and find simple steps to deal with them. SunPAC. Revolve brings together 14 of Queensland’s youngest circus stars, experienced artists, and a live DJ to create a show that is bursting at the seams with energy and fun. Highly rehearsed elements are combined with moments of improvisation as the performers play with rhythms of movement and music. RPAC. From the moment his tall, red-and-white-striped hat appears around the door, The Cat in the Hat is sure to take Sally and her brother on a mischievous and unforgettable day. A lively and engaging play, not a word has been touched or added to Dr Seuss’s classic book, ensuring you will be transported into a world you have only ever imagined. Brisbane Arts Theatre. Honestly Dishonest gives the audience access to the secret life of becoming a magician – and how tough it’s becoming to fool new audiences. With his razor sharp wit and surprisingly blunt nature, Matt will fool you, make you question everything you thought you knew and leave you utterly amazed and delighted. He’s dishonest, but at least he’s honest about it. Brisbane Powerhouse. The original “King of Kids” is pumping up the Christmas spirit at Brisbane Powerhouse with a much needed burst of 90s nostalgia and Season cheer. Peter Combe’s Christmas Album: Live In Concert! is a show for 6-96 year olds which will have you smiling from ear to ear while singing along. Brisbane Powerhouse. Experience a Christmas tradition cherished each year by families all over the world. This December, Charles Dickens’ classic tale of compassion, forgiveness and redemption is brought to magical life in a brand-new adaptation by award-winning theatre company, shake & stir. QPAC. The Redland City Choir proudly presents the return of Redlands White Christmas with all your favourite Christmas carols and a splash of movie magic. Get into the Christmas spirit and join them for a musical journey that is sure to delight audiences young and old. RPAC. One of the most-read and famous children’s books of all time, The Very Hungry Caterpillar emerges off the page in a masterful theatrical experience for the whole family. This Australian-made show will excite, educate and entertain new readers and first-time theatre-goers, while those who grew up with these books will delight in experiencing one of the most popular children’s books ever written. Gardens Theatre. Welcome the holiday season with this beloved and magical Christmas tale.When good children should be tucked up in bed, little Clara is still wide awake. The clock chimes midnight – and a wondrous fantasy world unfolds! QPAC. Featuring much-loved Wiggles songs like ‘Do the Propeller!’, ‘E-M-M-A’, ‘Hot Potato’ and ‘Rock-aBye Your Bear’, you’ll also get your tinsel-toes tapping along as The Wiggles perform some of their most Pop!-ular hits from the Wiggle Pop! album. Joined by Wiggly friends Captain Feathersword, Dorothy the Dinosaur, Wags the Dog, and Henry the Octopus, Emma, Lachy, Simon and Anthony will take to the stage with dancing reindeers and even Santa Claus himself. Brisbane Entertainment Centre. The halls will be decked, the stockings hung. December 2018 welcomes back Spirit of Christmas, with all our favourite carols to be sung. Presented in the grandeur of QPAC’s Concert Hall, Spirit of Christmas has become a cherished annual tradition at QPAC. So gather your friends and family and join us for this magnificent celebration, including traditional carols the whole family can join in and sing. If you loved The Gruffalo, don’t miss the sequel, which returns following previous sell out Australian tours – now in a new West End production! Join the Gruffalo’s Child on her adventurous mission in this magical musical adaptation of the much-loved picture book. Gardens Theatre. 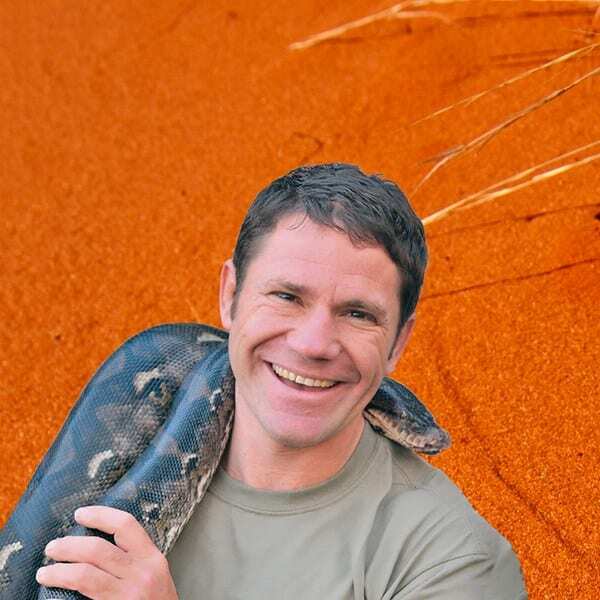 Star of the hit TV series Deadly 60, Steve Backshall is back by popular demand this summer school holidays! After multiple Australian tours and sold out shows from Broome to the Sydney Opera House, don’t miss Steve’s most exciting show ever – Deadly 60 Down Under, featuring some of Australia’s deadliest animals live on stage! QPAC. This mind-blowing spectacular showcases the jaw dropping talents of seven of the most incredible Illusionists on earth. The Illusionists have been seen by millions across the world, shattering box office records and dazzling audiences of all ages with a powerful mix of the most outrageous and astonishing acts ever to be seen on stage. QPAC. Enter the magical world of Ballet Theatre of Queensland’s production of The Sleeping Beauty, an enchanting ballet based on the Charles Perrault fairy tale and set to the famous music of Tchaikovsky. QPAC. This is the story of a boy, his runaway bum and some of the most dangerous bums in the world! With the aid of some bum-hunters, Zack will track down his missing bum to the heart of an explosive bumcano in this ultimate kid adventure. Brisbane Arts Theatre. A play by Richard Tulloch adapted from the book by Andy Griffiths and Terry Denton Andy and Terry’s Treehouse has reached an amazing 91 Storeys! It’s now more fantastically dangerous than ever, with a deserted desert island, a whirlpool, and a giant spider! QPAC. Join Dorothy and Toto as they enter the magic world of Oz. BCYB transforms this well known tale into a delightful ballet for all ages. Meet the Scarecrow, Tin Woman and Lion and watch out for the Wicked Witch. The beautiful Glinda the Good Witch saves the day and everyone in Emerald City dance for joy. Conservationism Theatre. 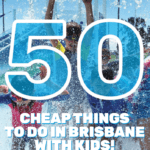 Want a FREE book with 50 Cheap things to do in Brisbane with kids? It’s here and it’s free – click here then scroll through the rest of this article for even MORE ideas! Going to the Gold Coast these school holidays? Find the BEST list of things to do on the Gold Coast with kids here. 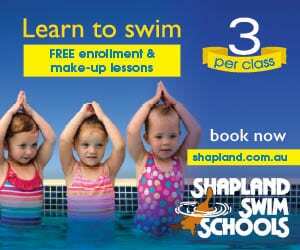 Going to Sydney these school holidays? Find the BEST list of things to do over the Sydney school holidays here. Going to Melbourne these school holidays? Find the BEST list of things to do over the Melbourne school holidays here. This is one journey down the rabbit hole you won’t soon forget, as Alice ventures to the world of a very White Rabbit, a Mad Hatter and the evil Queen of Hearts. Prepare for a curious adventure in the much-loved Alice in Wonderland. Featuring all of your favourite characters, Alice is sure to be a hit for the whole family. Brisbane Arts Theatre. After sell-out seasons across the world, including London’s West End & Broadway, The Gruffalo returns to Australia. Join Mouse on a daring adventure through the deep, dark wood in this magical, musical adaptation of the classic picture book by Julia Donaldson and Axel Scheffler. Searching for hazelnuts, Mouse meets the cunning Fox, the eccentric old Owl and the party mad Snake. Will the story of the terrifying Gruffalo save Mouse from ending up as dinner for these hungry woodland creatures? After all, there’s no such thing as a Gruffalo – is there? Songs, laughs and scary fun for children aged 3+ and their grown-ups… Gardens Theatre. Shadow puppets in space! Two brothers embark on an epic quest to find a new home planet. This is the tale of Sam and Junior: two brothers, who must flee their barren planet, and embark on an epic quest across the galaxy. Using the contents of your cleaning cupboard, Bunk Puppets’ David Geddes conjures up astonishing lo-fi theatrical wizardry using only old boxes, bubble wrap, drinking straws, tennis balls, ping pong bats and old toys. It’s a crazy shadow puppet universe, made from bits of rubbish. Award-winning Bunk Puppets, creators of ‘Swamp Juice’ and ‘Sticks Stones Broken Bones’, present this new, delicious, DIY theatre event. Ipswich Art Gallery. It’s family time with a party-filled funk, soul and disco dance! Wiggle away with this fun-loving duo and their live disco rainbow sparkle band. Feel the beat of the bombastic drums, dance in the giant grooves of the electric bass and sensational synthesisers. The high energy live music sets are complemented by break out busy, fizzy, crafty sessions facilitated by Lissa and Nee Nee. So you thought Goldie-Locks was just out for a walk in the woods? Well you didn’t get the whole story. Goldie and the 3 B-Bears is a hip hop dance theatre show that uses spoken word, rhyme, music, drama and dance to let you in on what really went down. Our main girl, Goldie, is a dancer who comes from a long line of famous dancers in the style of Locking and there is enormous pressure for her to follow in her parents’ footsteps. Goldie wasn’t just out for a walk that day, she ran away from home. When Goldie stumbles across the home of the three B-Bears she didn’t expect to find amazing Break Dancers with such great passion. The B-Bears teach Goldie about the importance of creativity, self-expression and learning from the old to create something new. Goldie and the 3 B-Bears is a dynamic show that will have every audience member bouncing to the beats and groovin’ in their seats! Logan Entertainment Centre. Pet slugs and rock and roll! Join the cast of the award-winning The I Hate Children Children’s Show as they take your whole family on a non-stop sugar rush of live music, funny songs, magic, comedy and, of course, signature child-hating. This show has won the hearts of audiences across the globe. Starring Paul Dabek – the meanest magician in the world – backed by a killer live band, the wit is razor sharp and the music will have you dancing in the aisles. If you love your children but hate boring kids’ shows, come get a taste of this! This multi-award-winning family show has melted hearts, young and old, around the world with its glorious brand of slapstick, acrobatics and total silliness. Star of Club Swizzle, Circus Oz and The Tom Tom Crew, Tom Flanagan amazes, delights and leaves audiences in stitches as he pays homage to the greats Charlie Chaplin and Buster Keaton in this one-man comedy for all ages. Kaput – slapstick and silent clowning at its finest – has toured four continents, won countless awards and collected fans from 5 to 95 years old. PJ MASKS LIVE: is a super-heroic, brand new live musical show, featuring the heroic trio from your favourite series: The PJ MASKS! Watch Catboy, Owlette and Gekko as they try to save the day from the sneaky villains – Romeo, Night Ninja and Luna Girl! Fluttering Feathers! Leaping Lizards! What a CAT-tastrophe! Brisbane Exhibition & Convention Centre. BrainBuzz is Nine’s new children’s science show, produced in Brisbane! It’s the TV show that brainstorms and answers those nagging questions you’ve always wondered about. Catch BrainBuzz Host Kellyn Morris, Resident Scientist Clare Van Dorssen, and a bunch of historical characters, including Albert Einstein, as they bring some of their TV antics to Brisbane Festival in the beautiful Brisbane City Hall, in a free event sponsored by Brisbane City Council. Bookings required. The Owl and the Pussycat is an enchanting and intimate theatrical experience for families. Be swept away in this all-new opera with stunning vocals, interactive theatre, and a troupe of musical puffins. Aboard a magical pea-green boat, this charming work explores universal themes of love, harmony and acceptance. QPAC. Playing to sold-out houses all over the world, Potted Pottertakes on the ultimate challenge of condensing all seven Harry Potterbooks (and a real life game of Quidditch) into seventy hilarious minutes. This fantastically funny show features all your favourite characters, a special appearance from the fire-breathing dragon, endless costumes, brilliant songs, ridiculous props and a generous helping of Hogwart’s magic! QPAC. Adapted from the book by Paul Jennings, The Gizmo will have families laughing out loud at the crazy misadventures of Stephen, Mouse and the wondrous Gizmo. Whilst at the local fair, Stephen is baited by his hero Floggit into stealing. He steals the whirling, twirling illuminating Gizmo, that sends Stephen on an amazing adventure of self-discovery. Finding it impossible to just simply get rid of the Gizmo by returning, burying or throwing it away, the Gizmo starts to exact its revenge by placing Stephen in several extraordinary situations! Brisbane Powerhouse. Party with stars of ABC KIDS Lah-Lah’s Big Live Band as they celebrate their 10th birthday around Australia in 2018. Lah-Lah and the band will be touring their 10th Birthday Party ‘best of’ album through SONY Music, following their 2017 ARIA nominated release Having Fun. It’s an hour of singing and dancing fun full of Lah-Lah hits and laughs. And don’t forget everyone gets to meet the band, and the instruments, after the show. Various locations. Besieged by mountains of rubbish, 12 extraordinary young performers recycle and reuse discarded items, reimagining circus and what our future could be. Wasteland is about potential, hope, resilience and survival – replacing recognisable circus apparatus with repurposed materials and scrap. Developed by Flipside’s performance troupe, renowned circus artist Chelsea McGuffin and dramaturge Robert Kronk, Wasteland combines amazing aerials with frenetic ground and tumbling routines. RPAC. A legend over 2,000 years in the making, Disney’s Mulan Jr is the latest in live-action Disney adaptations for the stage. Based on the 1998 Disney film, and featuring iconic songs including Reflection and I’ll Make a Man Out of You, your heart will soar during this modern princess story. 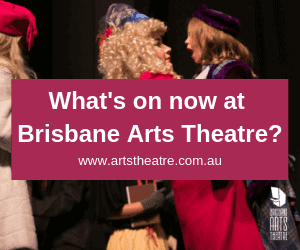 Find a date to suit you at the Brisbane Arts Theatre here. X barks the spot in the new tour PAW Patrol Live! “The Great Pirate Adventure”. It’s Pirate Day in Adventure Bay, and Mayor Goodway is getting ready for a big celebration! But first, Ryder and his team of pirate pups must rescue Cap’n Turbot from a mysterious cavern. When they do, they also discover a secret pirate treasure map! The PAW Patrol set out over land and sea to find the treasure for Mayor Goodway’s celebration before Mayor Humdinger finds it first!Brisbane Convention & Exhibition Centre. Bookings Essential. The National Theatre of Great Britain’s acclaimed production of The Curious Incident of the Dog in the Night-Time is the winner of five Tony Awards and seven Olivier Awards, including Best Play, Best Director and Best Design. Featuring remarkable, immersive staging and a full British and Irish cast, this is a global theatrical phenomenon that simply must not be missed. QPAC. QPAC’s Out of the Box festival is five days of spectacular in-theatre experiences, hands-on workshops, fun activities and interactive exhibitions especially curated for children eight years and under. This year, for the cost of a Day Pass, you gain access to the entire festival program and are invited to fit as many experiences as you can into a day. A day at Out of the Box festival nurtures your child’s creativity and imagination by introducing them to rich early arts and educational experiences that celebrate and support learning, play, curiosity and discovery. The 2018 tour of Disney On Ice will bring to life more than 14 timeless Disney tales including Snow White and the Seven Dwarfs, Cinderella, Beauty and the Beast, Toy Story, The Lion King, Finding Nemo, Frozen and more. Disney On Ice celebrates 100 Years of Magic will dazzle with magical moments and over 30 favourite Disney songs. Brisbane Entertainment Centre. Andy and Terry’s treehouse just keeps on growing. With yet another 13 levels, it’s now got a Sribbletorium, a high-security potato chip storage facility (guarded by one very angry duck!) and even an open-air movie theatre. The team behind The 13-, 26- and 52-Storey Treehouses Live on Stage return with the newest, biggest, brightest blockbuster in the series … but watch out for those cows! Gardens Theatre. Watch classic nursery rhyme characters magically come to life as the pages of the storybook are turned in this exciting new production, ‘Once Upon A Time’. You will experience your child’s favourite songs and nursery rhymes such as Little Miss Muffett, Incy Wincy Spider, Humpty Dumpty, Der Glumph and Heads and Shoulders so they can get up and dance and do all the actions. Join the Presenters, Jemima, Big Ted, Little Ted and Humpty as they travel through an enchanting adventure filled with stories, songs and dance. Bookings Essential. This captivating classical ballet will delight young and old with the enchanting story of toys magically brought to life. Follow the story of a young gypsy girl, alone in the streets, who finds shelter in a toyshop. As she hides among the toys she notices they are brought to life by a magical toymaker. Watch as all the toys dance together and are accompanied by a beautiful fairy in the celebration of the gypsy girl’s new family. By Brisbane City Youth Ballet at Brisbane Powerhouse. Like Tan’s book, this is an emotionally moving production; a tribute to migrants, refugees and displaced people worldwide. It’s a pertinent story of overcoming hardship, of humanity and of hope. The Arrival will touch anyone who has ever had to start anew or bid farewell to a loved one. Queensland Symphony Orchestra will present Star Wars: A New Hope In Concert, featuring a screening of the complete film with Oscar®-winning composer John Williams’ musical score performed live to the film. Brisbane Convention & Exhibition Centre. Celebrate NAIDOC week and enjoy a free concert from X Factor winner Isaiah Firebrace. He has blazed his way through the past few years, gathering accolades, awards, and global success along the way. This is your opportunity to hear his soaring vocals live on stage for free as part of Redland City’s NAIDOC Week celebrations. You can also enjoy a range of cultural activities on the RPAC Piazza before the concert. Redland Performing Arts Centre. Tumble down the rabbit hole and join Alice, one of literature’s most beloved heroines, in her adventures through Wonderland in this dazzling, internationally acclaimed production. A star-studded cast of talented actors and puppeteers use their ingenious stagecraft and limitless possibilities of imagination to bring this beloved story to life. Featuring masterful sets, lavish costumes and the latest technology in animatronic puppets. Don’t miss your chance to tumble with the Tweedle twins, chase the White Rabbit, boo the boisterous Queen of Hearts, and have tea with the Hatter at the Maddest Tea Party of all! Brisbane Powerhouse. Sit back and let yourself go with Queensland Symphony Orchestra. Be inspired by a diverse program that features John Williams’ famous Star Wars Suite, Tchaikovsky’s heart-warming Sleeping Beauty Suite and Rimsky-Korsakov’s evocative Scheherazade. Be moved by the spine-tingling power of live orchestral music when Queensland Symphony Orchestra returns to the RPAC Concert Hall. The Orchestra’s previous two concerts at RPAC have been sell-outs, so make sure you book early for what will be a majestic night of music! Redland Performing Arts Centre. Get ready mini-makers, your favourite arty party man is coming back to Australia! Zodiak, Live Nation and NAB are excited to announce Mister Maker Returns for a series of live shows in July that will take him around the country in what promises to be the family show of the year. Logan Entertainment Centre. Bookings essential. Grease – The Arena Experience featuring over 800 performers thunders onto the stage at Brisbane Entertainment Centre for two shows only on Saturday 14th July 2018. After sold out seasons in arenas around the country, GREASE returns to Brisbane for an encore season, bigger and better than ever before. Brisbane Entertainment Centre. Breathtaking sets, mind-blowing special effects, over 300 lavish costumes and a fabulous cast bring the magic of Disney’s Aladdin to life on stage. Featuring all the songs from the classic Academy award winning film, including “Friend like Me”, “A Whole New World” and “Arabian Nights”, prepare to experience the unmissable theatrical magic that is Aladdin. Bookings required. Bursting through the backstage curtain and into the ring, you will find the tribe of samba dancers stomping to that Brazilian rhythm, aerialists who will dangle from the ceiling, FMX bikes that will flip over your seats, ballet dancers, tightrope walkers and a dangerous capoeira fight! Bookings required. Mt Gravatt Showgrounds. Something is up at the Royal Society for the Prevention of Cruelty to Children! It turns out these lovely ladies are actually witches in disguise, with a plot to turn all children into mice. The world of Roald Dahl returns in this captivating, family-friendly adventure sure to excite even the oldest of your clan. Brisbane Arts Theatre, bookings essential. The Wiggles are coming to perform for you as part of their Wiggle Wiggle Wiggle! tour! This brand-new show will see Emma, Lachy, Anthony and Simon performing in over 150 locations in every state and territory in Australia. Various locations. Best friends, Sally and Possum do everything together. Follow the fun adventures of Sally and Possum as they explore, discover and learn about the world around them using Auslan sign language. Part of Festival 2018 – a free state-wide celebration of arts and culture, showcasing Queensland’s creativity to visitors during the Gold Coast 2018 Commonwealth Games. The Owl and the Pussycat is an enchanting and intimate theatrical experience, based on Edward Lear’s beloved childhood poem. Created for children aged four to 10 years, this charming work melds live performance, puppetry, operatic vocals, music and theatre. Flowstate – bookings required. All children are stinky, right? Against a backdrop of high calibre circus, a rocking ‘90s soundtrack and genuine belly laughs this acrobatic duo’s attempts to prove kids STINK are met with messy, ridiculous and hysterical twists. They only succeed in proving that children are awesome…and they know it! Expect daredevil stunts, incredible acrobatics, lightning fast hula hoops, loads of laughs and mischievous fun. Off the back of five star sell-out shows at Edinburgh Fringe, this action-packed circus extravaganza will have your jaws on the floor hooting for more! Get all the details here. You only have to look at current hit TV shows, Once Upon A Time and Grimm to see that fairytales will always be popular. The Romantic composers knew this years ago so made sure many of their large-scale classics had a liberal sprinkling of sprites, wraiths and princesses. Bookings required. The Harry Potter Film Concert Series returns to Brisbane Convention and Exhibition Centre with Harry Potter and the Prisoner of Azkaban in concert, the third film in the Harry Potter series. On Saturday 19 May 2018, Queensland Symphony Orchestra will perform the magical score to Harry Potter and the Prisoner of Azkaban live while the entire film plays in high-definition on a 12-metre screen. In this fairy tale classic, love between a sweet young woman and a ghastly beast is only a heartbeat away. Brisbane Arts Theatre. Following a sell-out season of The 13-Storey Treehouse in April, the official world premiere of The 78-Storey Treehouse comes to QPAC! The forever romance, the hundred year classic, the most heart-warming dancing you will see this year. The Russian National Ballet Theatre will draw the audience into this tragic love story. ‘For never was a story of more woe than this of Juliet and her Romeo’ William Shakespeare. RPAC. A beautiful princess must sleep for 100 years – until woken by true love’s kiss… Experience all the dazzling wonder of The Sleeping Beauty in a live, interactive production created especially for children aged 3 and up. Fairies in glittering tutus, storybook characters, and a prince’s quest – all set to Tchaikovsky’s hum-along score. Running for under an hour, and packed with favourite characters like Red Riding Hood and Cinderella, this narrated version of The Sleeping Beautywill have both boys and girls dancing all the way home. Don’t forget to dress up in your favourite ballet-inspired outfit! Click here for more information. The Wiggly Christmas Big Show will feature all your favourite Wiggles songs such as Do the Propeller and Rock A Bye Your Bear, as well as Christmas songs like Go Santa Go! You’ll see The Wiggles, their Wiggly friends and dancers, Santa Claus, dancing reindeers and for the first time ever, it will snow on stage! Brisbane Entertainment Centre. Christmas would not be Christmas without The Nutcracker! Come and celebrate the holidays with us, joining the magical adventure of Clara, Fritz and The Nutcracker as they battle the evil Rat King. After Swan Lake’s success in touring Australia last year, The Russian National Ballet Theatre returns, this time bringing the world’s greatest classic ballet: The Nutcracker. RPAC. The halls will be decked, the stockings hung. December 2017 welcomes back Spirit of Christmas, with all our favourite carols to be sung. Presented in the grandeur of QPAC’s Concert Hall, Spirit of Christmas has become a cherished annual tradition at QPAC. So gather your friends and family and join us for this magnificent celebration, including traditional carols the whole family can join in and sing. Following their sold out Australian tour in January 2017, Dr Chris and Dr Xand, the stars of hit ABC Me children’s television series Operation Ouch!, are coming back to Australia with a brand new show! Brisbane Convention and Exhibition Centre. Adam Savage and Michael Stevens have joined forces to bring this one of a kind interactive, hands-on, minds-on theatrical experience to Australia. They’re master explainers, who bring along their crazy toys, incredible tools and mind-blowing demonstrations for a celebration of curiosity that literally has audiences shouting “more” after their favourites. Audiences are engaged and enthusiastic test subjects, as they spend two hours laughing, learning and exploring during a theatrical experience like no other. Brisbane Convention & Exhibition Centre. As a special bonus – have you considered indoor rock climbing? Brisbane has a BUNCH of great venues on offer. If you’ve not tried this with your active kids and teens yet, what’s stopping you? Check it out here! Looking for a ‘bucket list on a budget’? We just love the ideas here for things you can do around the home! 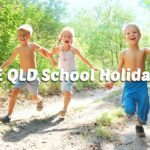 10 FREE QLD School Holiday Ideas | Things to do for FREE with kids! Is it possible to add privately run activities to your website? We are Scribble Ink (www.scribbleink.com.au) and we offer writing classes to school aged students at Griffith University. Free activities at Roma Street Parklands and visit to the movies. Can’t wait to take the kids to Southbank, hopefully go ten pin bowling and just create memories with them they can cherish when they are older and able to reflect on x will do as much as I can with the budget we have . Pj mask show – we are booked in and ready to go! There’s so much to do! We will go to Maleny Dairy, Southbank and hopefully the Museum. We would love to go bowling and city hopping. Looking forward to take the kids to Sparklab ? Thanks for some great free ideas! My 4 kiddos and I are hoping to hit Southbank, GOMA and the revamped science centre. A few at home craft days and trip to the beach if the weather stays as beautiful as it has been! My kids are really keen to check out the tramway museum. We’d love to go and see The Owl and the Pussycat! I’m planning to take the kids to a Grill’d master class and a muffin break muffin decorating class! Food is at the centre of my holiday to do list! We will be fishing on Moreton Bay and Canoeing. Urban Extreme sounds really cool. Think we’ll try and take the kids there this holidays to try it out! We will hopefully do a city trip then head across to Southbank finishing with a visit to GOMA as that’s always popular with my boys ? Going to the park for a picnic. Checking out the free activities at the shops. Take my 2 boys swimming at the Bayside or a public swimming pool since it’s warmer weather. Unicorn festival at Carrara Markets! Might put Mt coot-tha botanical gardens and roma St parkland on our list!! Heading into GOMA and Southbank. Apart from bowling ( fingers crossed) a kids eat free lunch with a city cat ferry ride and s swim down st redcliffe lagoon ? It’s not school holidays without a trip to the Museum and GOMA and a ride on the CityHopper up and down the river. Free activities, inflatable factory Michelton, beach, skateparks adventures take our lunch. Mt Cootha Gardens with picnic lunch and Bowling?? Definitely want to try spark lab at Southbank and do the botanical gardens and Mt Cootha. We are off the see the GRUFFALO with a picnic and play in the City gardens afterward. Defiantly a picnic at Botanical Gardens! City Cat day tripping around Brisbane and The Movies. Trying to survive with budget-friendly options of park dates and home play. There’s some great parks. Redlands track park and Walkabout creek for bike riding. Flying a kit at Nudgee beach and a bbq on a windy afternoon. Fishing at Manly with the kids. Indoor climbing at Urban Climb at West End. There are so many things to do. We are planning on going to the Sir Brisbane Thomas Planetarium at Mt Cootha! What a comprehensive list. Something for everyone to enjoy. Would love to checkout Ultimate Xtreme Adventure Park in Hendra to prepare for Dec skiing trip. What a comprehensive list of school holiday activities. Something for everyone! We would love to check out the Ultimate Xtreme Adventure Park in Hendra to get ready for the Dec skiing trip. These school holidays we’ll do a Local Library event at Everton Park. David Wallem theme. And maybe the Planetarium. Sooo many options – flipside or southbank….. a show or an adventure… maybe both. Brilliant advice thanks! I’m definitely planning a half day trip to shorncliff on the train, Daisy Hill Koala sanctuary and the publication library on top of strike bowling!! Beach, movies (small foot), baking, local park, museum, craft activities and possibly dreamworld ???‍? Our family always loves a visit to the science centre. It is a great day out for all different ages!!! SlapDash Galaxy would be great. The Nutcracker and a scooter ride and picnic @ Mt Cootha. Citycat ride to Southbank too!! Definitely a trip to South Bank- we haven’t been there in ages! We are wanting to try slot car racing as a family for the first time. Museum of Brisbane and Ipswich Art Gallery! Urban Extreme looks amazing ?? Australia Zoo! The kids love to see all of the different animals ????? We will definitely being visiting the botanical gardens, the planetarium and the museum. We ❤️ Exploring Brisbane on the holidays. We always do the Museum and Mt Cootha Gardens but this time I think we’ll do the city Gardens instead! Will definitely do a trip to south bank… the kids love the bus train and ferry experience. Karawatha forest is great too ? Surfing, dance workshop and maybe a last minute getaway… Hopefully strike bowling! Definitely GOMA and the brisbane museums, settlement cove, botanical gardens and hopefully the rail museum and the planetarium! The rail museum is always a great day out and i havent been to the planetarium before! We are going to Flipside Circus and Iceskating, so excited!!?⛸? We might do a little of “nothing” this holidays.. let the kids be bored, use their imagination and make up games and play together! Web found this works so well and they get on so much better ? Too many devices, screens and organised activities.. so we like to chill out with our 6 kiddies and spend some quality down time with them..
prob some beach trips or 4wd-ing involved too?? Bribie Island Sanstone Points Hotel has everything for families. On the school holidays they have a blow up water park that my kids love, they have an animal farm, lots of different options for lunch and a kids games room aswell. Its also has lots of beautiful spots for parents and families to sit back and relax. We will definately be visiting Maleny Dairies, we always love out time spent there ! Head to the Gold Coast for a couple of days. Go to GOMA’s Childrens Art Centre for free, air-conditioned art activities in a beautiful building by the river. Botanic Gardens, tree top climbing for the kids, south bank. Anything to keep the kids entertained. Museum, Circus Arts at DFO and the beach! hello bowling with the skids. Rock climbing whilst eating a hot dog. It would be great to go visit Maleny Dairies again this holidays. Love their farm, their philosophy on helping the dairy industry and their products are so delicious. Koala reserve, pony rides, outdoor adventure…. Yes bowling would be on the list,beach as now weather is warming up and we live on sunny coast, southbank as grand daughter is in Lady Cellento having back surgery so we will take the boys to the museum and Im sure they will tell us other things they want to do. We have planned a trip to Mt. Cootha, The Planetarium & and hopefully we’ll get to spark lab too. Picnics in the park and lots of library visits! Operation Ouch looks so much fun! I apprediate youu spending some time and energy to put this informatipn together. I once again find myself personally spending wayy too much time both reading and commenting. this web site is genuinely nice and the users are in fact sharing nice thoughts.